U.S. Secretary of State John Kerry on Thursday warned that that the unresolved Israel-Palestinian conflict was fueling recruitment for the ISIS militant group and it was “imperative” the peace talks be resumed. “There wasn’t a leader I met with in the region who didn’t raise with me spontaneously the need to try to get peace between Israel and the Palestinians, because it was a cause of recruitment and of street anger and agitation,” Kerry said at a State Department ceremony marking the Muslim festival of Eid al-Adha which took place in early October. Kerry has just returned from a tour of Europe and Egypt, where on Sunday he attended a conference on the reconstruction of Gaza and during which he told Israel and the Palestinians to return to the negotiating table. 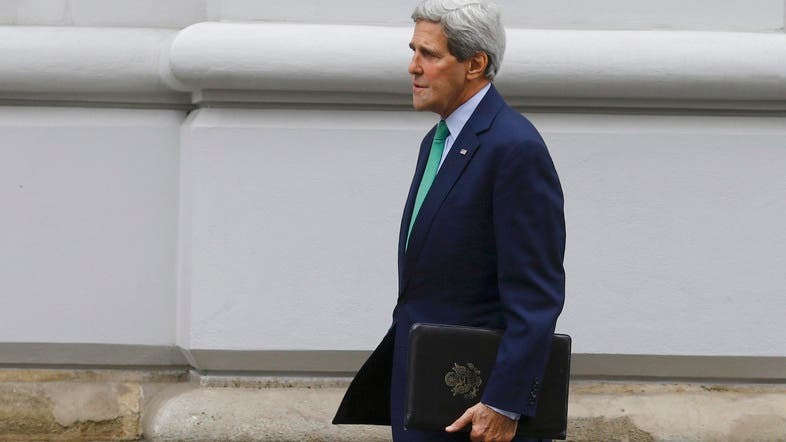 Kerry was the architect of the resumption of the Israeli-Palestinian peace process between July 2013 and April. Eid al-Adha, also known as the “Festival of Sacrifice,” celebrates the end of the Hajj pilgrimage.